Boards or individual trustee members submit nominations for the OCSTA Trustee Award of Merit. This award recognizes Catholic trustees who have rendered exceptional service to Catholic education over the years. Recipients of the Trustee Award of Merit are honoured during the Eucharistic Celebration at OCSTA’s AGM & Conference. The OCSTA Board of Directors nominates a recipient for the OCSTA Special Award. 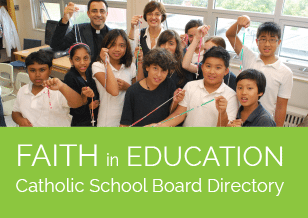 This award recognizes a non-trustee individual who has made significant contributions to the Catholic education community of Ontario other than those they may have made while serving as a trustee. The recipient of the Special Award is honoured during the Eucharistic Celebration at OCSTA’s AGM & Conference.